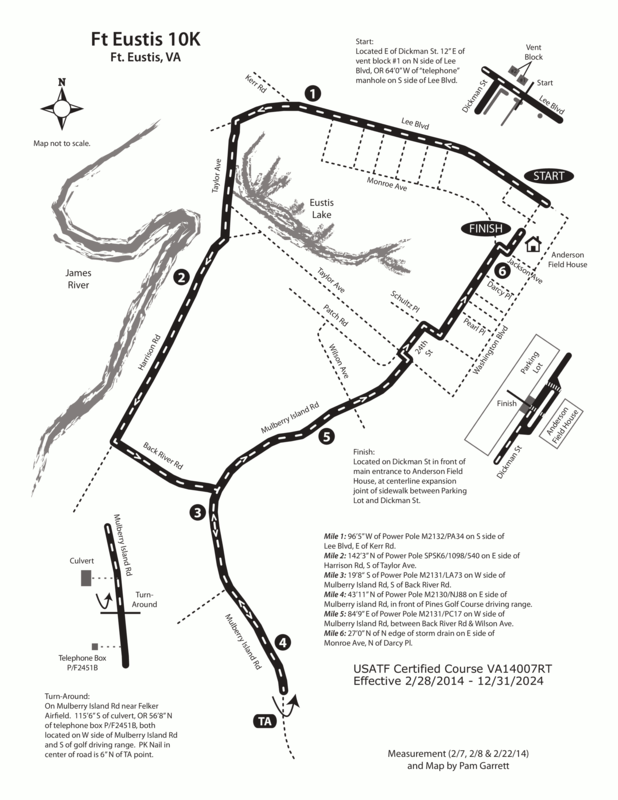 Be The First to Review the Fort Eustis 10K Ruck Run! The Fort Eustis 10K Ruck Run is a Obstacle/Adventure race in Newport News, Virginia consisting of a 10K Novelty Run. The surface is 99% flat asphalt roadways. The race will take you past the historic Matthew Jones House, along the beautiful James River with a view of the Ghost Fleet, near Fort Crawford and then past a site of an early American brick factory located on Mulberry Island. Ample parking, restrooms, and shower facilities will be available for use at Anderson Field House. Two (2) water points (both will be hit twice) will be stationed at various locations on the race course and at Finish Line.